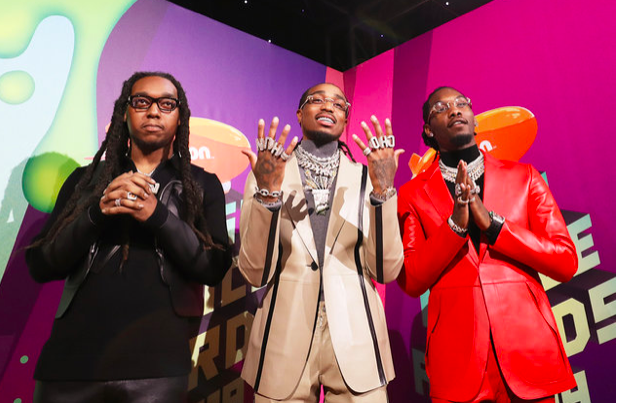 After releasing their solo albums the rap trip Migos took the 2019 Kids’ Choice Awards stage. Hosted by DJ Khaled the trio performed a medley of their biggest hits at Saturday’s show at USC’s Galen Center. Making it a family affair they each walked the orange carpet with their families by their side and talked about what it meant to them to be performing at the Kids’ Choice Awards, and what fans can expect this year. “Gotta lead the generation the right way, you know, ‘dat way,” Takeoff added.